Its official we are now entering the Christmas period and it’s only the 6th November!! 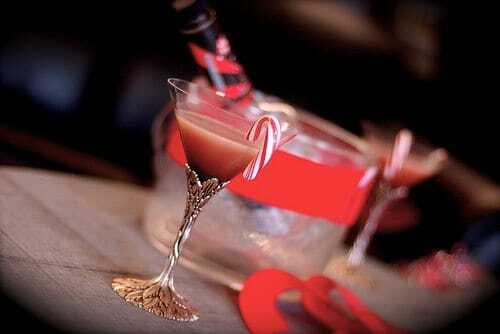 We have been inundated with calls looking at various options for client’s corporate Xmas party. Granted, we have noticed a reduction in the size of groups booking but it has to be a good sign for the market in general that people are wanting to thank their staff and keep them motivated into 2010. We have a lot ideas for Xmas Parties on offer, or should I say alternative Xmas Party Ideas, and our website has a Xmas 09 tab which will guide you through the options. 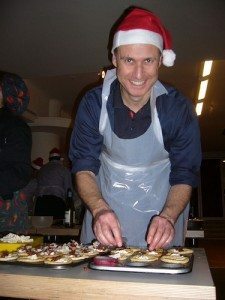 The most popular corporate xmas event is currently, our Cocktail Masterclass followed closely by our Xmas twist on our ever popular Cooking Events. With various venues throughout London we can offer a super evening package which incorporates a lesson in making cocktails and sampling them of course! This fun xmas activity is followed by a dinner or further drinks depending on your budget and should I say capacity for alcohol! We have found that people really get into the swing of things and it is a great start to an evening. Sessions last between 1.5 hours to 3 hours depending on requirements. Corporate cooking is still incredibly popular and has been our biggest selling event since we started Team Tactics 15 years ago! Guests can test their skills and learn new dishes in Italian/Asian/Sushi or create their own menu in our Corporate cook-off. The venue does depend on your group size however we have had great news recently in that our Holborn facility will now take up to 30 with Canary Wharf at max 18 and Wandsworth allowing up to 60. If you haven’t booked your party yet then do think about doing it soon as venues are getting very limited on available dates and times however I am certain that if it’s out there, Elena and Tina will find it! !